Welcome to the Weekly Newsletter for the week of February 3, 2017. 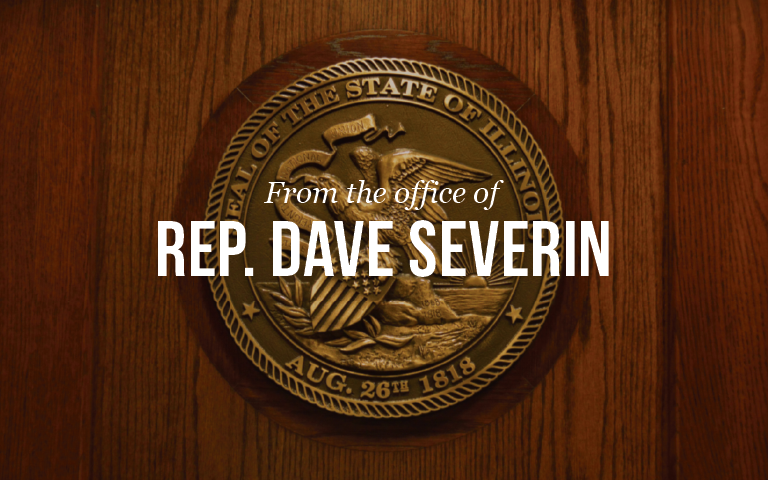 The House did not hold session this week but there was still plenty going on both in Springfield and the 117th District. From meeting with constituents at the district office to supporting new legislation to protect state employee paychecks, there is a lot to catch you up on. This week I signed on as a sponsor of HB 1787. The bill would create a continuing appropriation for state employee pay. HB 1787 was filed in response to the Attorney General’s motion last week to stop paying state employees as long as the state does not have a budget. As I said last week, the Attorney General’s motion is simply a political stunt. However this stunt has real life consequences for thousands of hardworking Illinoisans. The services state employees provide are crucial, and like any other job we cannot expect them to continue if they are not paid on time and in full. I am proud to be a sponsor of HB 1787. State employees should be protected from political stunts like this, especially while negotiations on a balanced budget with reform continue. On Thursday, I was invited to attend the Rotary Club of Marion’s meeting. I really enjoyed having the opportunity to meet some of the members and learn more about the community service projects they’re working on. I also had the chance to talk to the club about what is going on in Springfield. The Rotary Club of Marion is a great group of community leaders and I look forward to visiting them again soon. Also on Thursday, I learned what committees I will be sitting on for the 100th General Assembly. I will be serving on the following committees: Appropriations – Elementary & Secondary Education, Business Incentives for Local Communities, Agriculture & Conservation, Tourism, Appropriations – Human Services, and Mental Health. I am excited to work on all the legislation that comes to these committees, since they all have relevance to the 117th district.